Google Doodles - what they are - where to find the previous ones, etc. 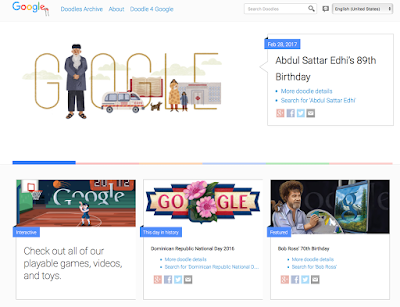 I am sure you have seen the Google logo be alterated in the past, maybe it was on Valentine's Day or celebrating a famous artist's birthday (Bob Ross). 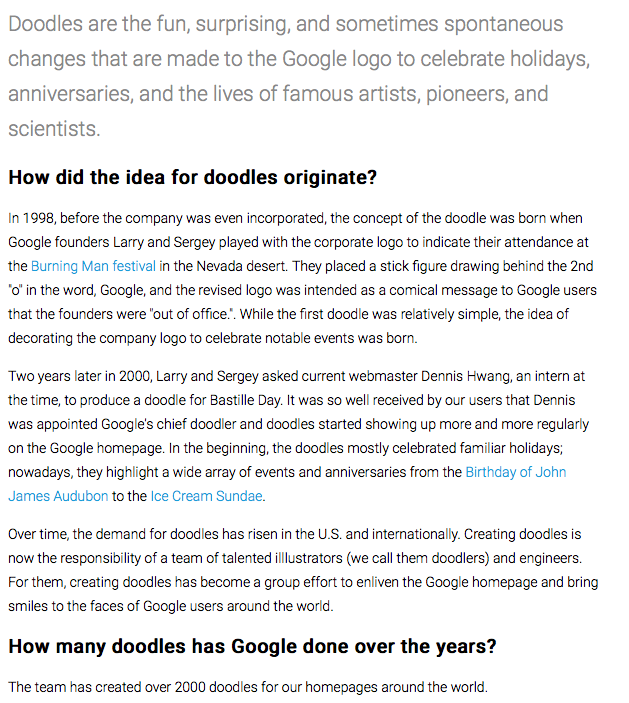 A Doodle is simply a fun way to celebrate holidays, birthdays, anniversaries, etc. 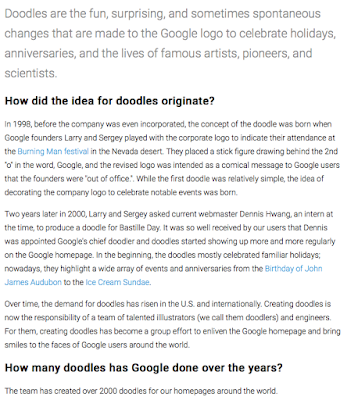 Below the pictures showing a bit of information about Doodles (including how to vote for future Doodles) you will see an embedded 1 minute and 56 second YouTube tutorial. 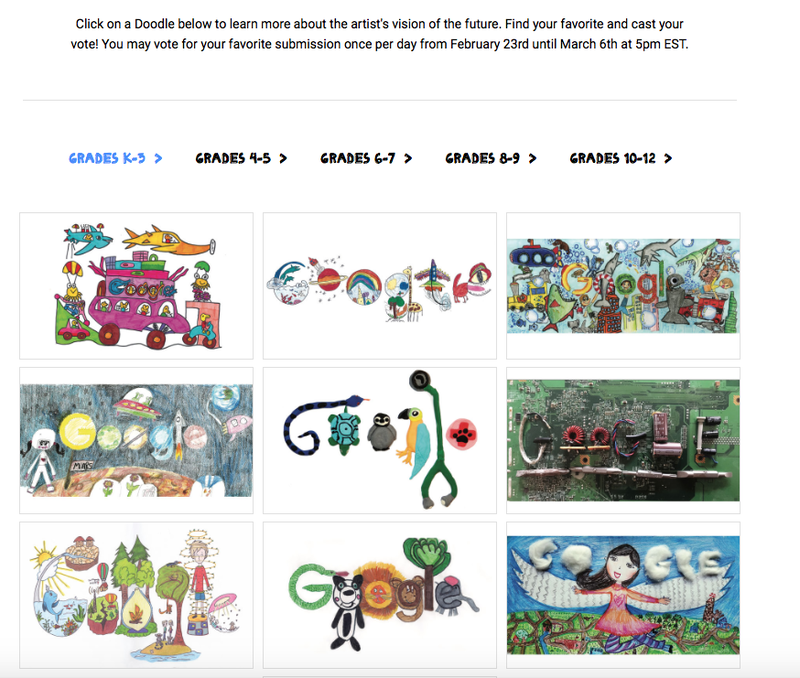 You can even vote for future Doodles (categorized by grade level). 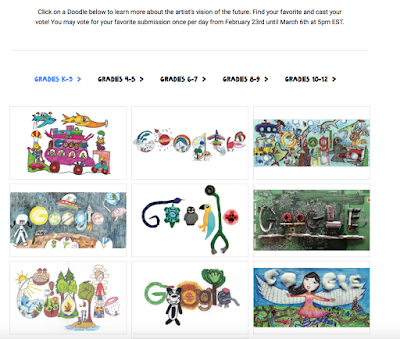 You may vote 1 time a day until March 6th.